VICIOUS RUMORS' "Digital Dictator 30th Anniversary Tour" kicked off in the band’s home town of Santa Rosa, CA in front of a sell out crowd of 500 fans. Lead guitarist Geoff Thorpe said, "We kicked off the tour with a sold out show in Santa Rosa's House of Rock Aug 31st and wanna thank all our fans n friends who made this tour start a huge Success! 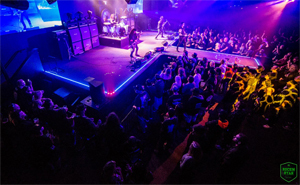 !” Geoff continued, "500 metal heads in that beautiful Rock Star University House of Rock venue made a night to remember!!! The band is on fire!! 1 down 44 to go!! Another Bay Area metal legend Leather Leone was in attendance and expressed just how impressed she was with with how tight the band was on opening night. Evan Alexander, General Manager of Rock Star University House of Rock couldn’t have been more pleased with the show, "VICIOUS RUMORS kicked off their tour in epic fashion at the House Of Rock in front of a full house of hometown fans! The high energy, shredding and face melting set keeps you rocking from beginning to end. 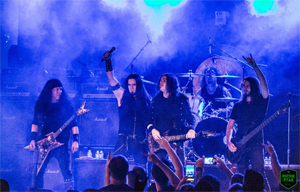 If they’re coming to your town, DON’T miss VICIOUS RUMORS!" VICIOUS RUMORS are excited to be out on the road for the 45 date "Digital Dictator 30th Anniversary-Tour" of America and Canada from Aug 31 to Oct 21. The band will bring the Digital Dictator 30th Anniversary Tour to Europe in April 2019, followed by a return to the US for dates on the East Coast. The band just released a special edition DVD titled "40th Anniversary-Live in Germany". The DVD of last year's crushing show at the Bang Your Head Festival in Germany. The DVD is available only at the shows and online through the VICIOUS RUMORS website and social media sites.